“When I grow up I want to be a cowboy. I want to be a uh dentist. When I grow up maybe a want to be a mechanic. I want to be a ROCK and ROLL Star”. Then it kicks in to the song. But to have such a great intro to a song it needs to be set up by another great song. Enter The Railroad. 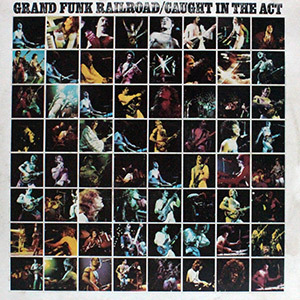 For those of you how might have forgotten what a great album Caught in the Act and how great side three is maybe it’s time to dust off that old record player and enjoy the greatness of Grand Funk Railroad again. This entry was posted in Caught in the Act, Classic Rock, Forgotten Rock Classics, Forgotten Songs, Grand Funk Railroad, Hard Rock, Heavy Metal, Music, Rock, The Railroad, We're an American Band and tagged Classic Rock, CS5711, Forgotten Rock Classics, Forgotten Songs, Grand Funk Railroad, Music, Record, Rock Music, Song, The Railroad, We're an American Band. Bookmark the permalink. I still remember seeing Grand Funk on a PBS TV show called Boboquvari (a native American word) in 1970. The host of the show was impressed with the Marshall amp stacks the band was using. I was impressed with their performance of Outside Looking In. Grand Funk, Sabbath, Zeppelin, Mountain, Tull – heavy music ruled in 1970. Oh to be a teenager (barely) again! 1970 was just the beginning for what turned out to be great decade for heavy metal. In 1970 I was still a couple years away from learning what real music sounded like. Once I heard heavy metal though I made sure to back track all of the artists. Loco Motion definitely is a rock classic that got tons more air play then The Railroad and deserved all the accolades that it got back in the day. I’m glad you are enjoying “CenterField”. Being John Fogerty is a local musician after the song came out it was playing on every radio station out here all the time. 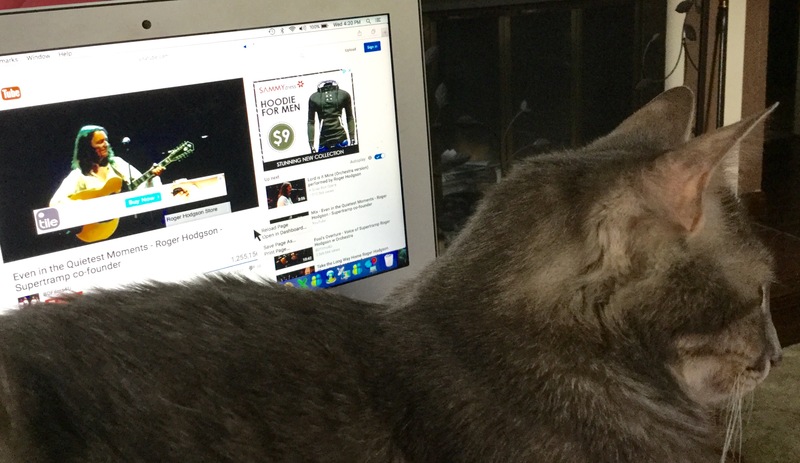 Dennis, Roxie gave you and Yuri a shout-out on her blog post this weekend. I meant to tell you that there’s a popular musical called “Beautiful” and it’s about Carole King. It’s filled with tunes that no one realizes originated with King. I thought it was great. I look forward to finding out more information on the musical “Beautiful”. Carole has, was, and still is a major influence on the music scene. While doing the blog research for many of the songs it has blown me away many times to learn who the real song writers have been. I’m looking so forward to reading Roxie’s post next week. I can only dream of having the writing talent that she displays. Thank You ahead of time. Roxie posted on Friday with a big shout out to you. I think you’ll love the musical. I was amazed at the number of people she had written for. I have never been to a musical before but this one intrigues me because of the songs involved. I just finished looking up all the information the WWW had to offer. It is playing out here in Aug-Sept and maybe I’ll ask the wife and our youngest if they would like to experience it and take them to there first musical. It’s filled with the songs when she first started out and the story of her early years is very interesting. I think you’d all love it.I was just listening to The Mouse Police again. I love all of these tunes. Took a look at your site. I can’t wait to read your posts as you progress backwards.